Though I am not religious, this is apropos for Easter weekend: Some may try to assassinate your reputation and burn down all that you worked for, but you are a phoenix and WILL rise from the ashes and achieve levels of success never before imagined. Stay focused. Stay strong. Stay calm. Stay humble. Be thankful knowing that adversity is like childbirth in that it may be painful but brings forth a new life and opportunities at creating an enviable legacy. Peace and good fortune to all. Generally you will not see promotions for income opportunities on this blog page, but I feel that this is an important product that deserves attention. You may or may not be interested, but I feel duty-bound to at least inform you. If you would like to earn commissions by helping your friends, you might want to become a SkloverWorkingWisdom™ Sales Affiliate. No fees. No commitment. No minimum. Just sign up, put a Sales Affiliate icon on your email or website. If friends purchase the incredible Model Letters, Memos and Checklists Mr. Sklover offers people so that they know “What to Say, and How to Say It™, you get 30% of their purchase price. 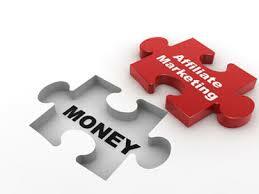 And, if they sign up as Affiliates, you also get 10% of what the revenues they produce as Affiliates. I do it, and it is easy, profitable, and makes me feel part of something that is “repairing the world” by helping employees stand up for themselves. Interested? Just CLICK HERE. Ignorance is not bliss and complacency is for the coward! The below pieces are limericks. According to Dictionary.com, a kind of humorous verse of five lines, in which the first, second, and fifth lines rhyme with each other, and the third and fourth lines, which are shorter, form a rhymed couplet. Poetry.org says that limericks are a popular form in children’s verse, and is often comical, nonsensical, and sometimes even lewd. For the purposes of the below limericks, I’m linking them together so going forward I’ll call this style a Limerick Chain. These five limericks are linked together around to advocating community activism. 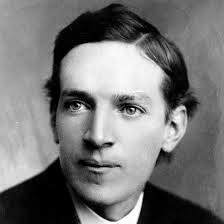 The images below is the late, great muckraking journalist, Upton Sinclair. He was also a Pulitzer Prize winning author of nearly 100 books. His writing helped usher in the progressive era in the United States. He is one of my heroes. The first book of his that I read is entitled The Jungle. I hope that you enjoy this poem. How that can be possible when your head is buried in the sand? You don’t do any research. You don’t practice what is preached in church. An ignorant person is out of place like a fish on dry land. Since when is being apathetic cool? Take note of the sign of the times. They can be as bitter as limes. Fulfilling your civic duty is a rule. Internet petitions will NOT get it done. In order to get a tan you have to get in the sun. Don’t be scared to get involved. If we work together problems will get solved. So let’s team-up and make a championship run. Complacency is a cowardly act. Change is brought via action and that’s a fact. 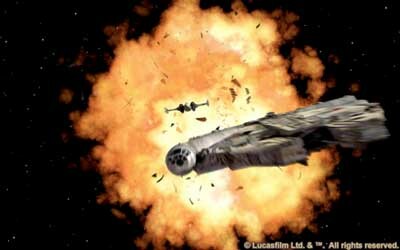 There is an element of fear I will confess. When fingers are clinched into a fist there is more impact. Increase knowledge today so that you can become empowered. If you are a “know-nothing,” you’ll miss the boat and your spirit may become soured. Faking the funk is for the birds.